From the safety of his bookstore, Sebastian observes the world around him through his books and his counseling clients, whose problems range from infidelity to the challenges of dealing with an overbearing mother. Living within the frenzied metropolis that is Hong Kong, Sebastian tries his best to live a quiet, predictable life. Unbeknownst to him, there is a parallel story unfolding about Chi Wen and Zhao Chen, two dragons from Chinese mythology. While initially distinct from Sebastian’s modern life, this alternative reality begins to filter through and he finds himself increasingly subjected to visions and memories of a life he does not remember. Reality and mythology blur and Sebastian is forced to question his own life and his relationship with Chloe. As the modern and mythical worlds start to intersect, Sebastian is drawn back into an ancient battle of wills. Solving the mystery of his frightening visions leads him to a choice that will throw his life into turmoil and potentially destroy his humanity. 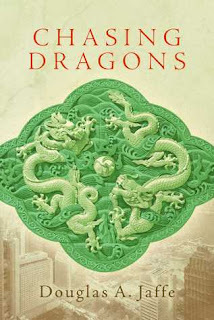 Douglas Jaffe combines Chinese mythology with present day reality in his novel, Chasing Dragons. The main character is Sebastian King, a bookstore owner who offers counseling to random friends and strangers. He loves life and pursues knowledge with great passion. Readers will connect with Sebastian through his enjoyment and love for those around him. 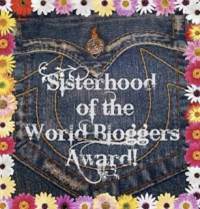 They will respect his devotion to constantly discover new ideas and his ability to counsel others, aiding them in forging their own life path. 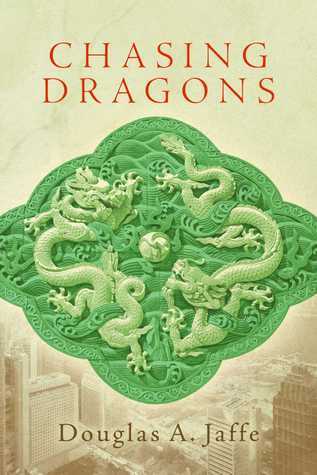 The plot is intriguing to readers as it aligns the mythological past of China and the subtle role it still plays in present day. Sebastian's role in the mythological world is both mysterious and inventive. The objective look that 'mortality adds importance' is given a new twist in the later chapters of Chasing Dragons. The fantasy aspect of the novel interrupting Sebastian's reality is a very nice analogy overall of how myths work their way into present culture. Jaffe's writing style is definitely the best aspect of the book. It's poetry in the motion of story telling. The dialogue is lovely and the descriptions are chilling yet full of warmth. The entire novel is penned in language at its best. If the story line doesn't grip you, the words will surely move you along as the stream becomes a river, falling over the climactic cliff.